Alpine trekking in the Himalayas is one the main tourist draws in Nepal, and rightfully so. A multi-day hike in the shadows of the tallest mountains on earth is for most a once-in-a-lifetime experience, and something one will never forget. Thus, Nepal’s tourism industry has a long history of supporting travelers that come to their country to hike in the Himalayas. Tea houses and lodges line the well-kept paths, guides know the routes like the backs of their hands, and the locals along the trails are some of the friendliest and most accommodating people one can hope to come across. 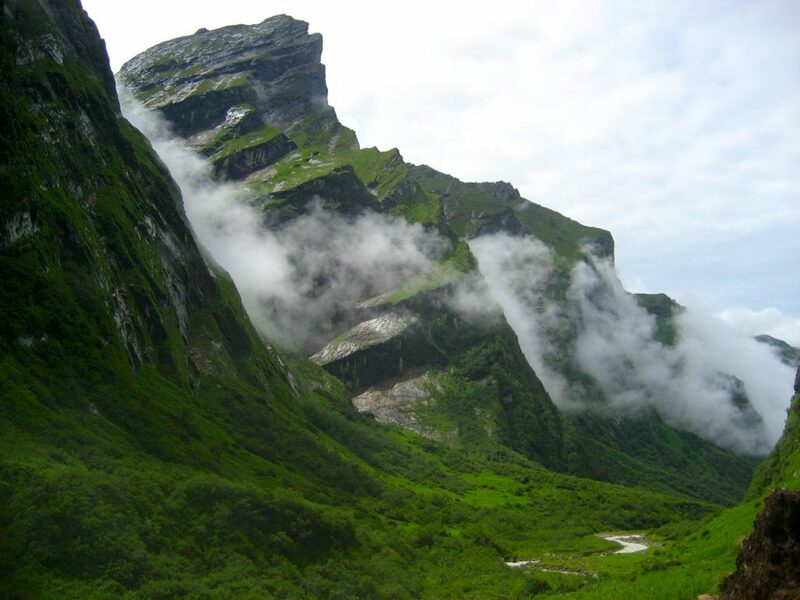 Add to this the stunning magnificence of the Himalayas, and you’ve got a hike unlike anything else on the planet. There are innumerable trekking options throughout Nepal, but three of the most popular are the Everest Base Camp (EBC) Trek, The Annapurna Circuit, and the Annapurna Base Camp (ABC) Trek. Everest Base Camp- Everest, being the tallest mountain on earth, is a HUGE tourism draw, and a trip to EBC is about as close as one can come without forking over the thousands of dollars required for a summit attempt permit. The EBC trek takes anywhere from 12-16 days, depending on how many acclimatization days are needed along the route. The trek starts out from the postage stamp-sized town of Lukla, and continues up into the Khumbu Region through several communities and villages on the way to EBC. It is a comparatively dry trek (as opposed to those in the Annapurna Region)- mostly grey slate and granite- and rain is not much of an issue. 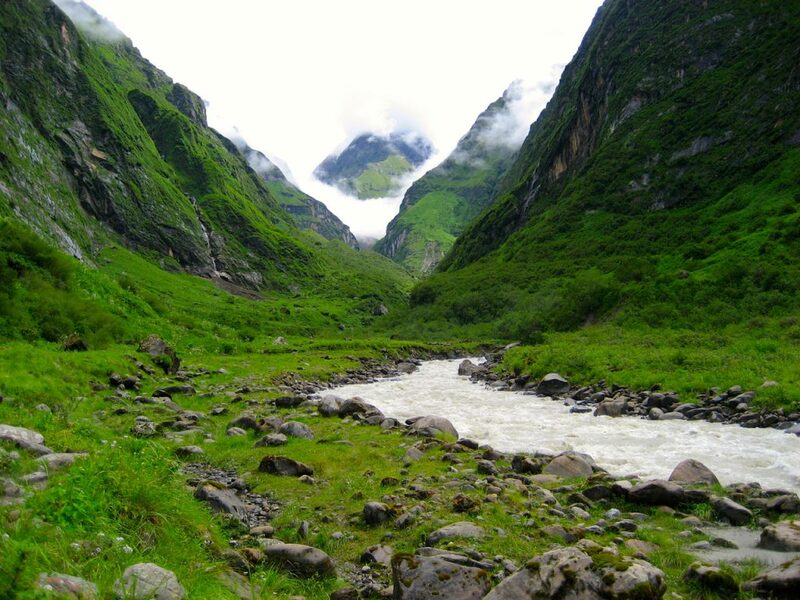 There are several small villages dotted along the trail, anxiously awaiting the arrival of trekkers. With spectacular views along the route, and the tallest mountain on earth waiting at the end, the EBC trek is an epic adventure in the mountains of Nepal. The Annapurna Circuit- Located in the Annapurna Range just north of Pokhara in central Nepal, the Annapurna Circuit trek is well-known for its stunning scenery and wide variety of climate zones. Typically a 16-day trek, the Circuit begins in the terraced rice fields of the Marshyangdi River Valley, and then circles around the Annapurna massif, with its highest point crossing over the famous Thorung La pass at an altitude of 5,416 meters. The scenery is constantly changing throughout the trek as the trail rises and descends, and there are countless forests, rivers, waterfalls, and high cliffs along the route. The Annapurna Range itself provides a stunning backdrop, as 3 of the world’s 10 tallest mountains are found here. There are ample teahouses along the route for food and accommodation, and it is possible to add on a side trip to Annapurna Base Camp along the route. 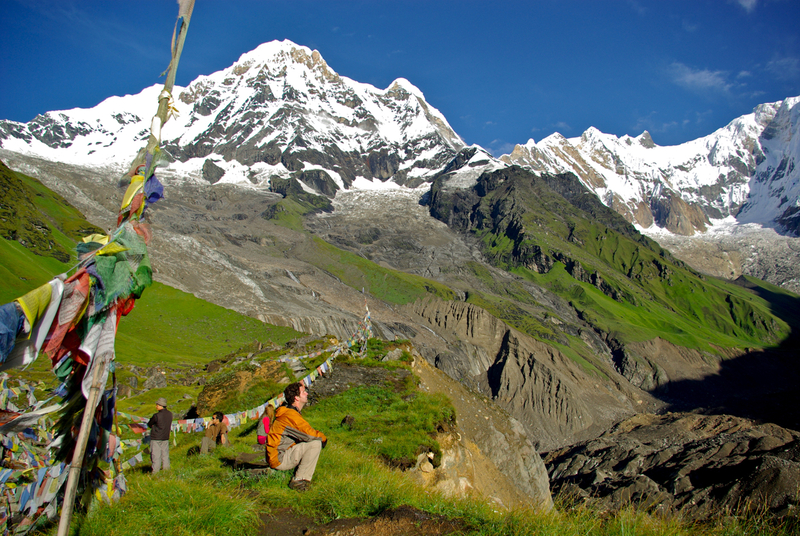 The Annapurna Circuit- Nepal’s most popular trek, and rightly so. 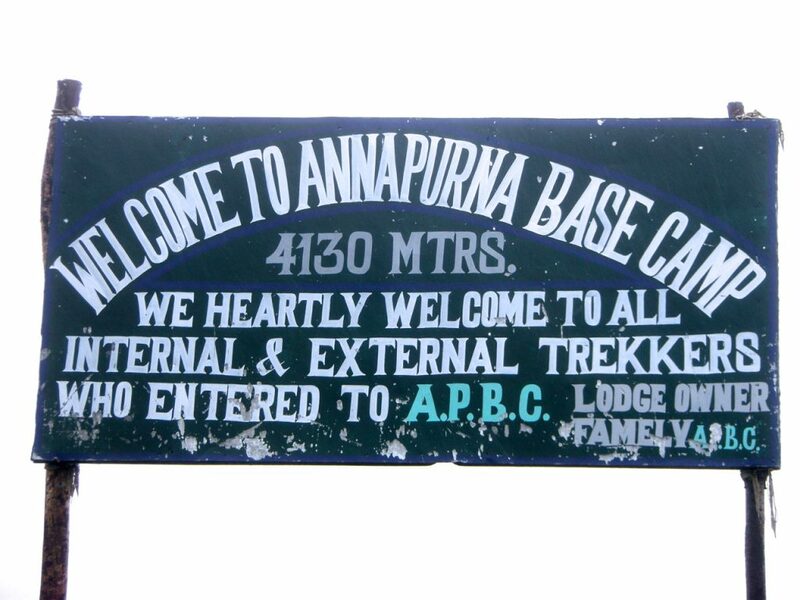 Annapurna Base Camp- Another popular trek in the Annapurna Range, the ABC trek combines part of the Annapurna Circuit with a trip up into the spectacular Annapurna Sanctuary- a 360-degree cathedral of sky-scraping peaks, dominated by the massive Annapurna I- . Typically a 12-16 day trek, the ABC trek is also noted for its stunning scenery and varied climate zones, and definitely delivers on the best that Nepal has to offer. Several villages line the trail as it winds up and through magnificently green valleys, the towering Himalaya on constant watch overhead. 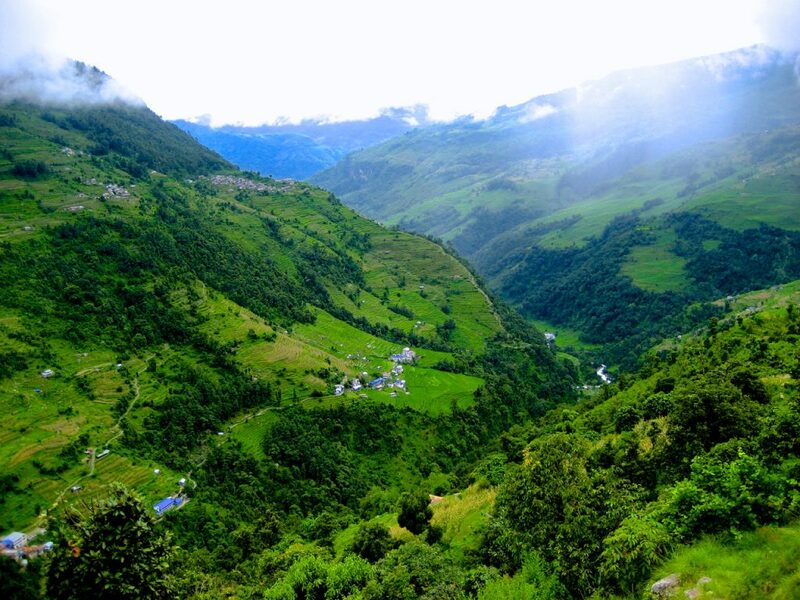 The Annapurna Sanctuary is stunning- an immaculately green valley surrounded by glinting snow-capped mountains, immense glaciers pouring down the rocky valleys, the green and the white a stark contrast against the shockingly blue sky. It is a place that has to be seen to be believed- photos and videos cannot do it justice. After visiting ABC, the trek heads back down into the valley below, rejoining the Circuit trail. The ABC trek- the best of both worlds when trekking in Nepal. Take your time when booking your trek, and find an outfitter that you feel comfortable with. Many of the trekking companies can come across as a bit pushy- don’t let them bully you. There are COUNTLESS trekking companies in Nepal, all vying for the tourist dollar, and you shouldn’t feel pressured or have any reservations when deciding on which company to book with. Any reputable trekking company will have a ‘Customer Review Book’- a book full of testimonies from past customers. Take the time to read through these when narrowing down your options, taking note of any specific guides’ names that stand out. You can request to have a specific guide if you feel someone stands out in the reviews. Speaking of guides- every trekking company in Nepal has guides to show you the way. While it is possible to do most of these treks on your own, having a local guide adds a lot to the experience. The guides know the mountains and the trails, and how far to hike each day. They know where to acclimatize, and what to do on those acclimatization days. They know the locals that run the teahouses and lodges, and can often help you have a much more authentic experience than would be possible if you are going it on your own. In short, having a guide is definitely worth the investment, and will enrich your trekking experience in countless ways. Along those lines- if you do hire a guide, try to get to know them before you get into the mountains. Chances are you’ll be in Kathmandu for a few days before flying out for your trek- take advantage of the opportunity to have a local show you around some of the sights in the Kathmandu Valley. You will learn a lot more than if you were by yourself, and it gives you the chance to hit it off with the person that will be leading you through the mountains for the next 2+ weeks. Porters are available for hire as well, but if you pack right, you shouldn’t have any trouble carrying your own gear. Go minimalist, pack in layers, and leave all of your excess stuff at your local hotel before setting out on the trek. Always remember that there are NO ROADS in the mountains- everything, and we mean EVERYTHING, comes up the mountain on either a person’s or an animal’s back. Thus, the higher you get in elevation, the more expensive things become. Be sure to stock up on snacks, etc. at the lower elevations. Pack several layers- yes, you will get hot and sweaty while hiking, but as soon as you stop, the cool mountain air will have you looking for dry, warm clothes. Make sure you pack layers of clothing that are easy to pull on and off. Quick-drying material is a MUST while trekking in the mountains. The locals will drink water right out of the rivers, but your system might not be able to handle that. Be sure to pack some sort of water-purification tablets- chlorine, iodine, etc., noting that bottled water isn’t available high in the mountains.